Today we bring you 3 useful programs from the Security category: R-Wipe & Clean, WikCoffer and Crystal Security. R-Wipe & Clean – a utility for cleaning disks from a different local system debris (such as temporary internet files, history of visited web pages, Cookie, autocomplete forms and passwords, swap files, recently opened documents list of the most used components are stored in the registry , temporary files, etc. ), as well as the privacy of user information. 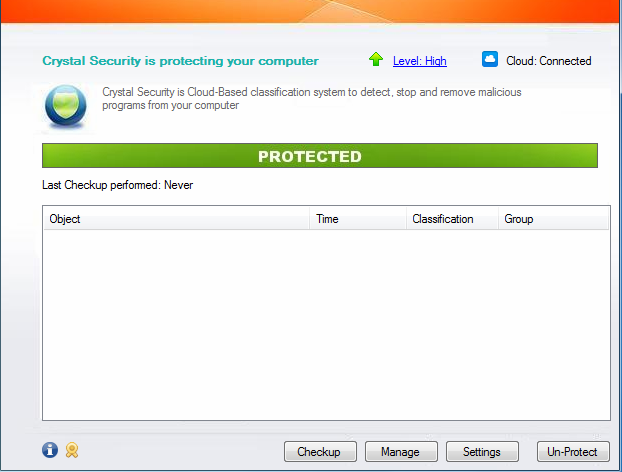 In addition to using the R-Wipe & Clean can remove traces of various applications and unnecessary files and folders. – Setting a password to run the program. OS: Windows 2000/XP(32, 64) / Server 2003/Vista/Windows 7, 8. WikCoffer is a program to save sensitive information and easily retrieve it. Type some characters into the search field and program will display only what you are searching for. WikCoffer is an easy to use yet powerful application which will help you manage and store your passwords and serial numbers in an encrypted database. The databases can also be protected with passwords to provide a more secure environment for your privacy information. – You can DragDrop WikCoffer fields TO other applications. Crystal Security is cloud based system to detect, stop and remove malicious programs from your computer. A simple program, which is an easy-to-use tool that provides the ability to quickly find not only, but also to remove all kinds of malicious programs, which in turn may adversely affect the performance of your computer. Crystal Security provides fast detection against malware and give you the control to let you know about changes on your computer real time. Using this security tool, you can classify files into black and white list. The program doesn’t require installation. OS Support Microsoft Windows 7, Windows Vista, Windows 2003, Windows XP.